Make sure you, your family and friends are met and taken care OF on arrival in Malta by booking an airport or port transfer to your residence, HOTEL or OTHER accommodation. By pre-booking your transfer, you will make sure that the transit from the airport or port to your destination will be as smooth as possible. Gozo visitors arriving at the Malta Airport are more than welcome to make use of our service since we offer special rates for those who wish to have a pleasant trip by road to the ferry and onward crossing, thus ensuring that all luggage will stay in car or van and the clients will be dropped at the doorstep of their destination. 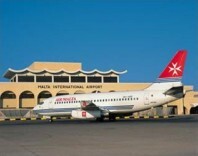 Return trips to the Malta airport and Malta port are also welcome.